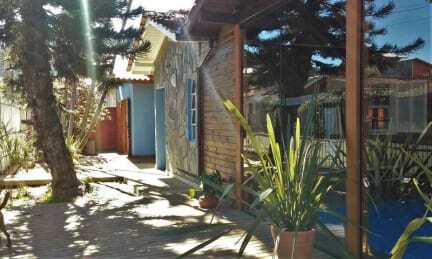 Vintage Hostel Florianópolis, Florianopolis, Brazylia : Rezerwuj teraz! We offer great common areas with music hall with PIANO and guitars, living room with TV, bar, books and guides, POKER table, great gardens with local fruit trees and herbs, fully equiped shared KITCHEN, Yoga room where you can enjoy our FREE YOGA class! Our guests love our location in a quiet safe and green street, but 2 blocks from the lagoon shore where the best bars, pubs, clubs and restaurants are located. It's also near the boat and bus terminals with access to the entire island.